Paragon Carpets Tiles is one of the country’s leading carpet tile companies and has produced and manufactured products in the UK since 1997. 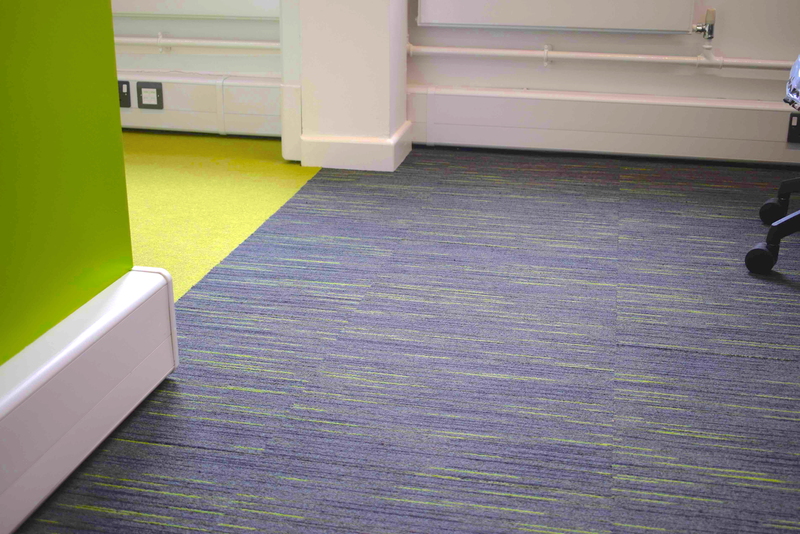 A majority of the company’s carpet tiles, including its loop pile and design ranges, are made in Britain, at Paragon’s facility in Rotherham, South Yorkshire. This includes some of Paragon’s most popular products, including Vital, Diversity, Total Contrast, Strobe and Workspace Loop – all of which are perfect for a range of sectors from office space to retail and educational environments. By controlling manufacturing levels and producing in large quantities, the company has significant stock levels and is capable of managing customer demand successfully throughout the year, providing delivery in short timescales. Also, where possible, Paragon supports other UK businesses by using their goods and services in the supply chain. When the company works with international partners and suppliers (both inside and outside of the European Union), it ensures there is enough stock to cover any unforeseen supply issues and potential increases in customer demand. The importance of the above measures have recently been made prevalent by the UK’s current political climate (at the time of publishing) and Paragon would like to provide transparency to its customers on how Brexit will affect them. It is still unclear how Brexit will be managed by the UK Government and the European Union. However, the company would like to inform all its customers that Paragon does not anticipate any issues over the coming months when providing products to UK-based customers. To find out more about what the company is doing in preparation for Brexit, please get in touch your area manager, who can be contacted using this link.